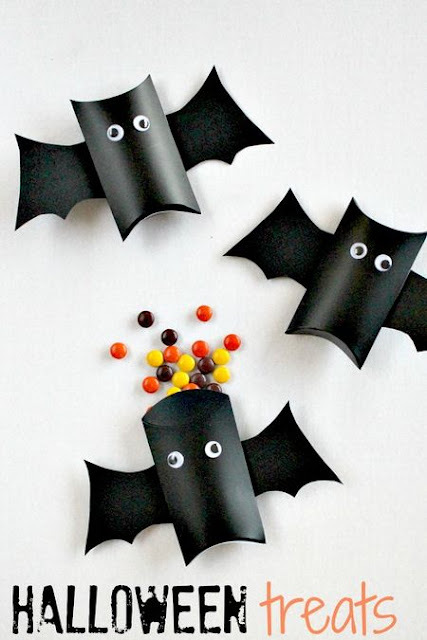 If you are looking for a fun treat box to use as a Halloween party favor or just a fun gift to give out at your kids school party, check out these fun Halloween bat treat boxes from Tonya Staab. Tonya will show you how to turn a regular pillow box into a fun bat party favor with a few simple steps and easy to find supplies. You can get a free pillow box template at About.com. I really love these cute little bats. I work with a bunch of different age children and I know that these would be a big hit with all of them! Thanks for the idea!